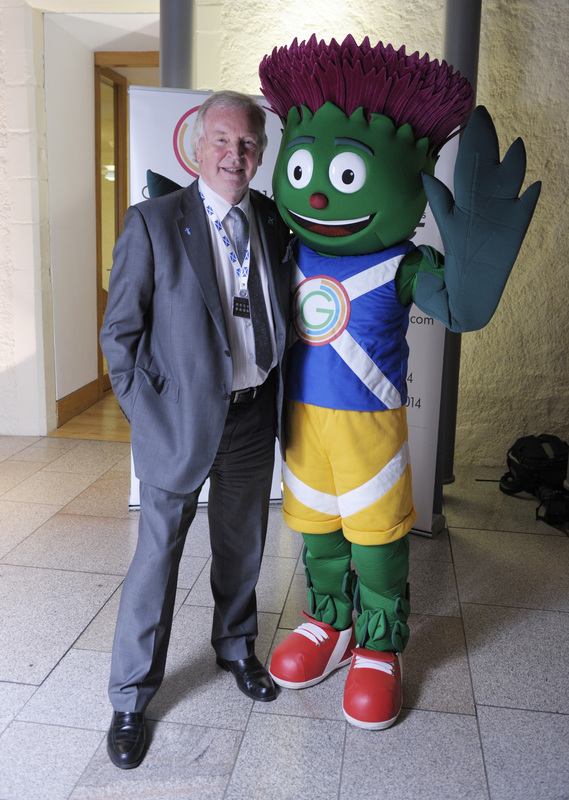 After meeting Clyde, Dunfermline MSP Bill Walker said: “Clyde will be highly visible in the journey towards the Games and will play a major part in motivating young people to get involved in Scotland’s largest ever sporting event. Well done to twelve-year-old Beth Gilmour of Cumbernauld who won the UK-wide competition to design Glasgow 2014’s official mascot. I understand Beth is a keen swimmer, so I’m certain she will enjoy the Games. “If we want the Games to have a lasting legacy in Scotland, then we must all work together to deliver that. Communities, organisations and individuals can get involved in different ways, including the Cultural and Volunteer programmes and the Queen’s Baton Relay. “Here in Dunfermline, we are in a good position to participate in the Games and build on their legacy. We have Pitreavie Athletics Club, with outstanding member Eilidh Child, who is a silver medallist from last Commonwealth Games in Delhi. She plans to compete in Glasgow 2014. “We also have our newly refurbished and upgraded Carnegie Leisure Centre, with a full-sized swimming pool. Carnegie Hockey Club also recently received a Big Lottery Fund award to purchase equipment and encourage young people to get involved in hockey.